While buying eyeglasses online may be convenient for consumers, AOA warns that it may cost more in the long run. Why? Because incorrectly fitted eyeglasses or inaccurately filled prescriptions may be what they get if they make that uniformed purchase. AOA suggests to ODs that they emphasize that purchasing eyeglasses is an investment in a patient’s health. That means it’s important to get the custom fit not only for comfort, but the patient’s visual needs, which is something that only a doctor of optometry can determine. “Ultimately, patients can expend more time dealing with order mistakes and making returns than had they simply visited their local optometrist in the first place,” said Samuel D. Pierce, OD, AOA secretary-treasurer. 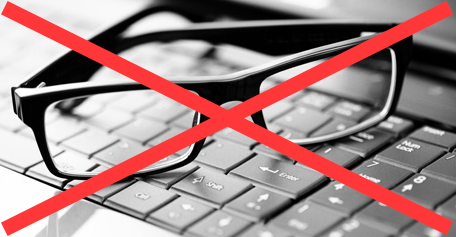 While visiting an optometrist is AOA’s first recommendation, if patients are still interested in making a purchase online, it urges consumers to do their homework before making a final decision.